Stop—and hide—rust in its tracks! 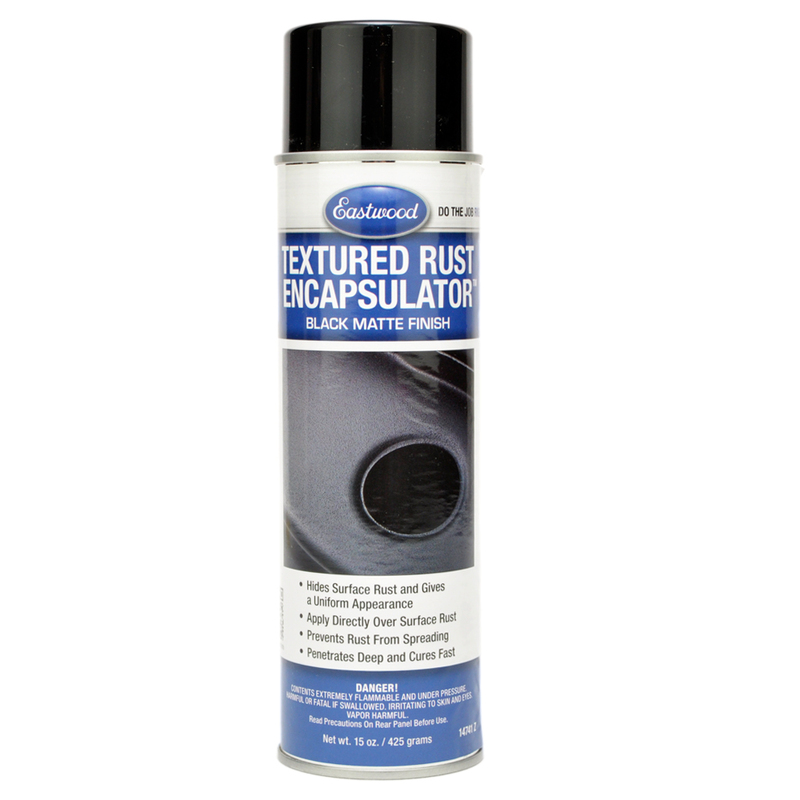 Our "Textured" Rust Encapsulator stops surface rust, and hides it too! Like our regular Rust Encapsulators, this textured formula seals and stops rust and corrosion from spreading, but it does more—apply it over rusted and surrounding clean metal and it turns it all into a textured surface that hides the rust! Tested against well-known brands, the family of Eastwood Rust Encapsulators has proven to be superior in sunlight resistance, preventing rust creep, and overall durability. Twice the corrosion resistance of our original formula for greater durability (tested to 500 hours in a salt-spray chamber). 425g aerosol covers about 10-15 sq. ft.